Recently renovated pillar in the Palani temple, Tamil Nadu has an inscription with 9 squares. This is Surya (Sun) Yantra but not Sudoku game. Each square has non repeating numbers which total to 15 (horizontally, ventically and diagonally). 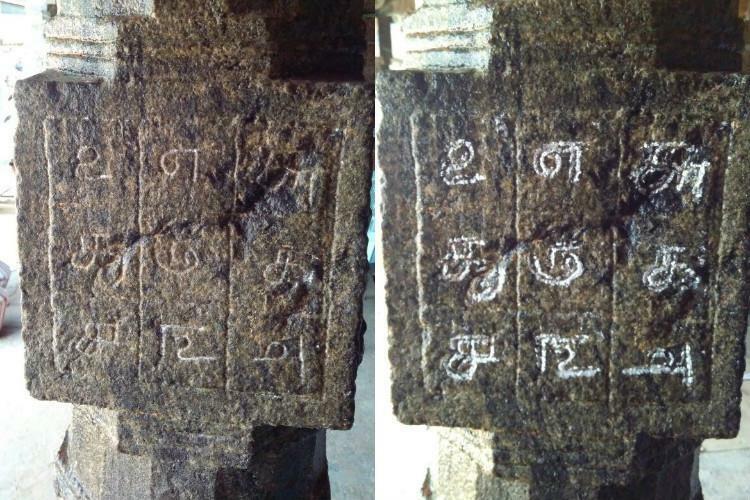 Archaeologists discovered on a stone pillar in a mandapam located in the foothills of Palani with a set of squares. This 17th century mandapam is generally used during the Panguni uthram festival that is celebrated in April. There has been a misconception that Sudoku game was played by south Indians 400 years ago and it was carved on to a stone pillar. This mandapam has been renovated multiple times since 13th century. Infact, it is Sun (Surya) Yantra in a different sequence of numbers, but totalling to 15 in all 3 lines. 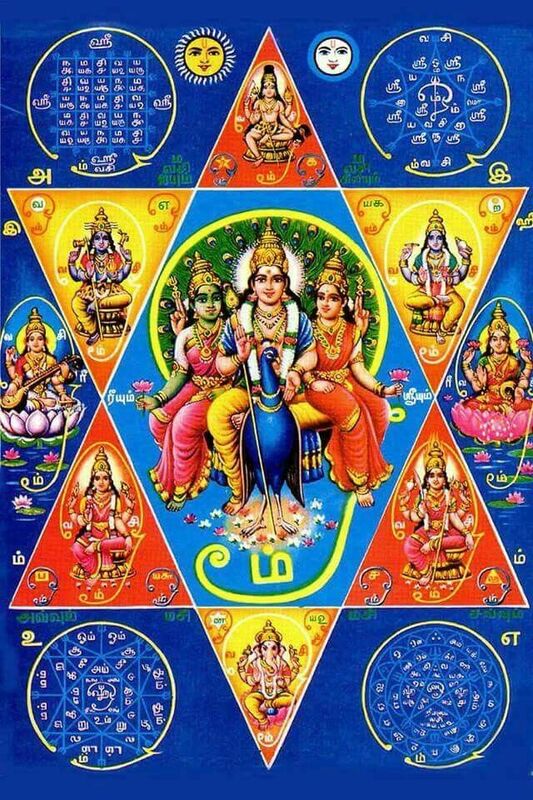 The concept of Numerical Yantras existed since thousands of years and yantras with numbers in squares were made for 9 planets in Vedic Astrology, for other dieties etc. These yantras, if inscribed on a copper plate, were kept at home, a place of worship or business. Sometimes they were just written on a piece of paper or dry leaf and stored at a place to energize the area. These yantras were even inscribed on to metals and worn as rings. 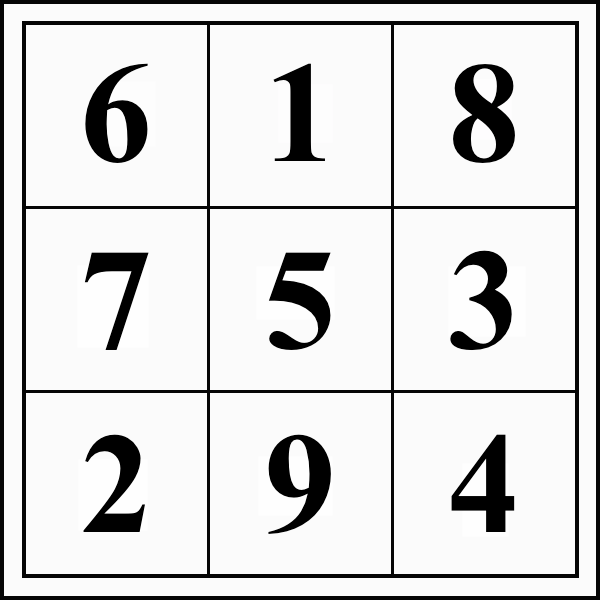 Numerical yantras follow the sequence of the magic square (addition of numbers, horizontally, vertically or diagonally, comes up with the same). Copper yantras can be used for purifying water or for energising medicines. They can be placed on altars, meditation seats, meditation or treatment rooms, or in other important places, Small yantras can be worn like gemstones in pendants or rings. Yantras for the planets should be frequently energised with the appropriate mantras. 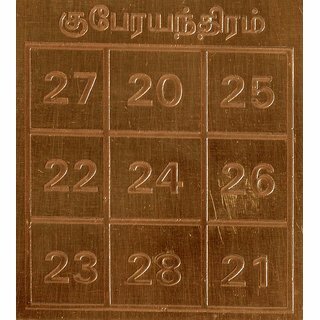 Below are Pitru Dosha Nivarana Yantra and Kubera Yantra in copper. All yantras come from the Sun yantra. Sun is the number 1 (which is depicted in upper center square). Sun Yantra shows the manifestation of solar energy. Five is the root number of manifestation. We have five elements, five sense organs, and five limbs (two arms, two legs and head). The total of the sides and diagonals is 15. The total of all the numbers is 45, or 9 x 5, and shows the full development of the fivefold solar force. The same numerical sequence, called the Writing from the Lo River or the Book of Lo, is the basis for the I Ching, which in turn is the basis of Chinese Astrology. We see therefore in these numbers the key to all Oriental astrology. The Palani Temple Pillar has above Sun Yantra, but rotated 90° (degrees) to the right. Original Murugan Yantra is hexagon shaped. Just because the total from each direction is 15 (in sun yantra), it cannot be concluded that 1+5=6, where 6 is Shanmukha. 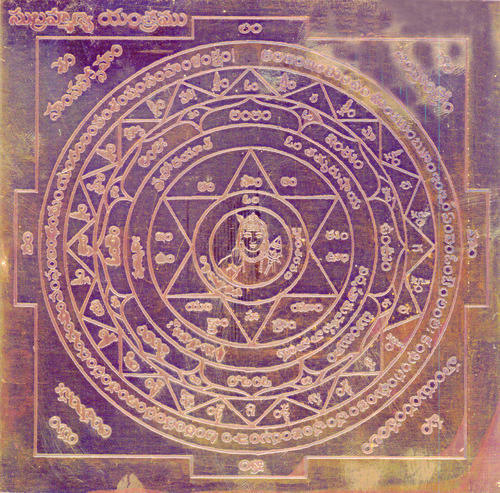 The same yantra when inscribed on a copper plate, will look like this. Silver or gold yantras have more power. Copper is the most commonly used substance and is not too expansive. Those on steel, silk or the bark or wood of sacred trees (like sandalwood) have less power. 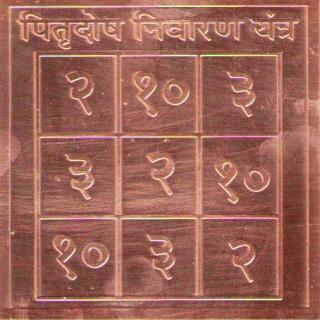 Each planet in vedic astrology has a numerical yantra and its number is depicted in top center square. Sun Yantra has total of 15 from squares in all directions, whereas Moon Yantra has 18, Mars Yantra has 21, Mercury Yantra has 24, Jupiter Yantra has 27, Venus Yantra has 30, Saturn Yantra has 33, Rahu Yantra has 36 and 39. There is an addition of 3 to the total of each yantra from Sun to Ketu. Yantras may be written on paper or inscribed on more durable substances. However, it is important to meditate upon the meaning of the numbers and design. Yantras are less expensive than gemstones. They can be as effective as gems if used with mantras. Unlike gems, they possess no side effects.